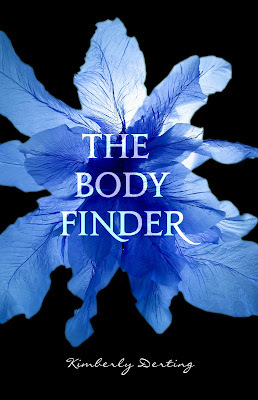 Hey, So here is the pretty cover art for The Body Finder... which I love. Anyways, I got to see it about 2 months ago, when I got an ARC. My review will be put up way later this year or next, but this book is amazing! This is kind of a Waiting on Wednesday except that it is a Tuesday and I have read this book. So I hope everyone gets it on March 16, 2010. To add to randomness... please leave in my comment that my sister shouldn't dye her hair black, because she will look washed out. Please e-mail me your address, to Sarahbear119(at)hotmail(dot)com with the subject "Contest winner of_____" Thanks for all the entries and Congrats to the winners. There is a very cool one coming in the future. Laura and Miles grew up as sisters and are really first cousins. Miles though that Laura was the good one- she is smart, beautiful, rich, and popular. While Miles considered herself to be the unwanted one. Suddenly, Laura's shatters Miles and leaves her feeling completely alone. She is set on a dangerous downward spiral. Miles has to find her own in the place after Laura's death. Auden hasn't slept at night in a long time. Ever since her parents started fighting and so did the divorce. Auden has the chance to spend a carefree summer on the beach in Colby, before she goes off to Defriese University... with her dad and his new family, his wife Heidi and his new baby Thisbe. Auden decides to help Heidi with the books at her clothes shop, Clementines. Auden finds friendship with a group of girls. She also finds a crush with Eli, a loner and fellow insomniac. Eli becomes a guide to the nocturnal world of Colby. Auden is finding her way throughout her childhood, she missed and Eli comes to terms with the guilt that he felt for a friend's death. I love Sarah Dessen. I have read all of her books at least once, many I have revisited multiple times. Along for the Ride is not an exceptions. One of the best thing about her novels are the lively characters. Auden is looking for the approval of her parents and has missed out on her childhood, because of this. I could totally relate to this. I didn't learn how to ride a bike until I was thirteen. I think that a lot of teenager girl can relate to this. Eli was so sweet and dreamy. I wanted to learn more about him. The plot is amazing. It had a ton of originality. Dessen is a wonderful writer. I love how she has cameos of previous characters. I recommend this book to anyone. I love this book. Everyone has a time to die and that is common knowledge. Some people just die a bit earlier. This is the case for sixteen year old, Tessa Scott. Tessa has been living with leukaemia for four years. She has been fighting back againist hospital treatment and medicine. She decides to make a list, ten things that she wants to do before dying. Tessa finds that her list isn't excaltly what she needed or really wanted. Tessa finds more comfort in her family, her best friend Zoey, and a new boy that she likes Adam. She finds that unexpected things are more important. This book makes you think of life and the importance of it. I read it at a really dark part of my life. Tessa was relatable, since at that point I was getting medical treatments twice a week and felt as thought I might die. Zoey wasn't as lively and strong as I though she would be. Adam was sweet and very nice. The plot was pretty good and understandable for how sick she was. It was original, because not many books take sickness on like this. The writing was amazing. Eveything was well written. It was very describive. I reccomend this book. I just wanted to thank everyone that said, "Happy Birthday" in anyway. It was pretty low key with just family, but it was a lot of fun. I got a $50 gift card to Barnes and Noble as a gift. So, I was wondering if anyone had any recommendation of books to get. They can be out now or out in July or August. I have a few ideas of what I want... So help me with a few ideas. By the way, it is less then 6 months till Christmas! Jordyn Turney is 19. She is a college student. She is currently working on her book and Lolsi. She has an essay in 'Red: Teenage Girls In America Write On What Fires Up Their Lives Today' Edited By Amy Goldwasser. She likes the original Get Smart show and Pushing Dasies. She is also a YA blogger at Ten Cent Notes. She also Tweets here, be warned, she tweets like crazy. 1. Can you tell us about your book(s)? Well, I'm still in that hoping-to-get-an-agent stage, so I don't have any published books out yet, but I do have an essay in Red, an anthology of personal essays edited by Amy Goldwasser. I wrote about my mom and made her cry, which is not exactly an accomplishment. However, the book I'm currently working on is about a teenage girl living with an alcoholic mother. 2. What is the hardest part of writing for you? I always always always think what I write is complete and utter crap, even if logically I know it's pretty good, so for me the hardest part is getting past that. Also, writer's block, which is deadly. 3. Where did you get the idea for Love Or Something Like It? 4. What is a normal day for you? But nothing is ever normal. 5. What do you like about being a YA book blogger? Um, so much! 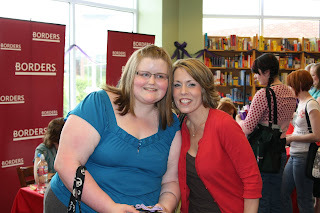 I like getting to interact and get to know authors, as well as fellow bloggers. That's big. I feel like I'm in the "in crowd" of YA lit, which is super awesome. Another thing I really love about book blogging is writing reviews - it sounds selfish, but I use my crazy in-depth review system to help myself analyze books and writing to see what works and what doesn't so I can improve in my own writing. 6. What place would you like to visit the most? Epcot. I know, I know, that's cheating. But it's kind of a way to visit everywhere all at once - the Disney version! 7. Is there anything that you would like to add? Everyone should watch Pushing Daisies, if you haven't read The Geek Girl's Guide to Cheerleading yet you really should, and Starbucks is awesome. The end. I am now 18, yay! 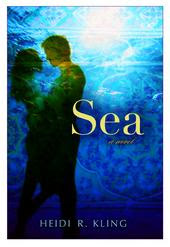 Haunted by recurring nightmares since her mother's accidental disappearance over the Indian ocean three years before, fifteen-year-old California girl Sienna "Sea" Jones reluctantly travels with her father's volunteer team to six-months post-tsunami Indonesia. During her stay at an orphanage, she meets the scarred and soulful, Deni, who is more like Sienna then anyone she has ever met. She knows they can't be together, so why can't she stay away from him? And what about her old best friend-turned-suddenly-hot Spider who may or may not be waiting for her back home?And why is her psychiatrist father so secretive about her mother's plane crash? The farther she gets from home, the closer she comes to the truth. And Sea's real adventure begins. I love this cover. It sounds amazing. Heidi is super sweet. She is also a Tenner. I can't wait for this book. Kayla is a nature lover. She decides to become a guide for a camping ground. She is drawn to the distant and brooding Lucas. As a young child, she has no way of knowing the secret that she holds by just one gene. Lucas is dangerous, gorgeous, and a werewolf. As leader of the Dark Guardian, shape-shifters who gather deep within he state park that he must protect his pack. But when Lucas finds his true soul mate, his love could be put in harm's way. As Lucas and Kayla struggle with their feeling for each other. Kayla must choose between the life she knows and her true destiny. The characters were pretty cute. Kayla was pretty down to earth. Lucas was pretty good and sweet most of the time.. The plot was slow, but it did pick up at the end. The plot was good though. It was original for for a werewolf story. The writing was pretty good. It was very cute and I enjoyed it. I am really excited for this book. The first two were so cute. I loved them. I really hope my best friend gets it soon... so I can borrow it from her, since she owns the series. Penguin also started Darken your Summer Days, which looks sweet. It gives you some of the Supernatural books to read. In Mary's world, there are a few truths. The Sisterhood knows what is the best. The Guardian will protect and serve the Village no matter what. The unconsecrated will never relent and only want to get inside the fences. The fences must always be minded. Since the fences are what protects the village from the Forest of Hands and Teeth. But slowly, Mary's World and these simple truths are failing her. The Sisterhood has secrets that are hidden from the Village. Suddenly the fences are breached and all of Mary's world is lost. Now she must choose between her Village and a future. 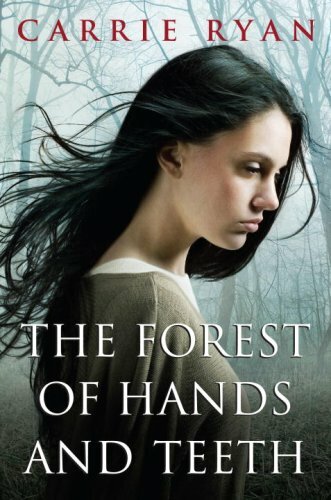 Now Mary must now face the real Forest of Hands and Teeth and all the death that surrounds her. Mary annoyed me a lot, she couldn't understand that everyone matters at time and other times she cared too much. I didn't understand why Travis was leading on Mary and Cass at the same time. I found Henry to be sweet most of the time. The characters didn't develop as much as the plot. Ryan did create a beautiful, amazing, and original novel. I can't wait for more from Carrie Ryan. Lia has recently lost her father. Her twin sister Alice, brother Henry, and Lia are now orphans. When a strange mark appears on her wrist and she keeps being attracted to a strange bracelet. 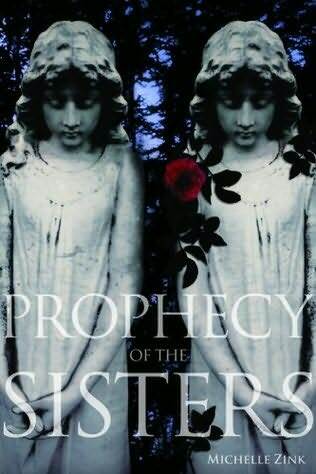 Lia and Alice are part of an ancient prophecy that has tuned generations of sisters againist another. Lia hides this discovery from Alice and even from James, the boy who he loves. Lia has to end the prophcey before her sister. Only then does she understand the mysterious circimstances of her parents' deaths, what the mark on her wrist really means. what her sister will do in order to win, and what the downfall of her part of the prophecy could bring to the world. Will Lia be able to make the right decision. Lia is an amazing character. She grows in this book and learns a lot about herself. Alice was just evil and most of her actions shocked me. James was very sweet, but I don't understand why Lia didn't tell her even if it may have been a burden to him. Sonia and Luisa were great friends and very supportive. The plot was laced with originality and well woven to be both realistic and surpring. Zink was able to keep the many facets of the book alive. She made a wonderful debut and I can't wait for more books. I reccomend this book. It comes out on August 1st. Below is an amazing book trailer made by Vania. Shelby has had one too many broken curfews. So, her stepmother Priscella convinces Shelby's dad that Brat Camp is exactly what is needed to make her follow their rules. She meets Austin Bridges III, who is the son of a infamous rock star and has a darling British accent. Shelby realizes that there is more to Austin then just a pretty face. He has a family secret that could ruin his family. Shelby knows that bad boys cause trouble, but Austin needs help to keep his secret and the only ways that can happen is by running away from camp. Shelby was really down to earth and caring towards Austin. Austin was sweet, like when he gave Shelby, some gummy bears to cheer her up. The plot was cute and fun to read. It was a very different take on a werewolf book. Heather Davis did a great job describing the scenery and the characters. It was an amazing debut and I loved it. It comes out, September 1st, 2009. 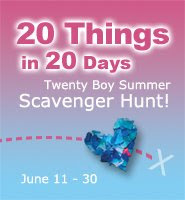 To celebrate the launch of Twenty Boy Summer by Sarah Ockler, I'm blogging clue #9 for the 20 Things in 20 Days Scavenger Hunt. Answer clues and challenges to earn points toward the 20 Things grand prize, including 6 signed books from 2009 debut authors! Get a clue... June 11th-30th at 20 Things in 20 Days! In Twenty Boy Summer, Matt Perino used to leave stray pennies on the ground instead of picking them up, just so someone else could have a lucky day. For today's 20 Things clue, let someone else have a lucky day! You can copy Matt's penny idea, do a chore for one of your siblings, do something nice for a friend or family member anything you'd like! Just tell us about it here in the comments. 5 points. Savannah would be happy to spend the summer in her coastal Carolina town. She like just reading romance novels and working in the hospital. Suddenly, Savannah meets Jackson. Once they lock eyes, she know that he is her true love... soul mate. Jackson abides her mother's strict rules and stays by her side as she is in the hospital for severe asthma. Jackson soon has to leave to help his family and Savannah has to leave to help his family. Savannah now has to learn on how to breathe without him. Savannah is hopeless romantic and it took a while to get used to it, because I am the opposite. Jackson was sweet. Their relationship was very cute. The plot was super cute. My mom has severe asthma, so I could relate to that. It was original twist on a simple romance. The southern dialogue took a while to get used too. It was a cute book. For Nora Grey, romance was not part of the plan. She's never been particularly attracted to the boys at her school, no matter how much her best friend, Vee, pushes them at her. Not until Patch came along.With his easy smile and eyes that seem to see inside her, Nora is drawn to him against her better judgment.But after a series of terrifying encounters, Nora's not sure who to trust. Patch seems to be everywhere she is, and to know more about her than her closest friends. She can't decide whether she should fall into his arms or run and hide. And when she tries to seek some answers, she finds herself near a truth that is way more unsettling than anything Patch makes her feel.For Nora is right in the middle of an ancient battle between the immortal and those that have fallen - and, when it comes to choosing sides, the wrong choice will cost her life. This books sounds so good. The cover is so pretty. I have heard that it is suppose to be really good. You are now officially a teenager. This is my 200th post. Yay! Here is my shiny new icon. Nine days to my birthday. I am excited. No one has ever wanted Ai Ling. She is really relieved about that; even though she has brought dishonor to her family. She really rather just be unbetrothed and free, then to be a wife to someone that she could never love. Now, something is after her. As pieces slowly come together, Ai Ling begins to understand that she must save her father. As she continues on her journey, she realizes that she will need some help. Then Chen Yong rescues her and their fates are instantly intertwined. Ai Ling is a wonderful gutsy heroine. Chen Yong is swoon-worthy. I could not put down this book. It was just so amazing. Sliver Phoenix had the perfect mix of action, fantasy, and romance. Pon is an amazing writer. Her description of dinner and an action sequence were amazing. Pon was a wonderful debut and I can't wait for more books from her. Beatrice "Bertie" Shakespeare Smith is not an actress, but she lives in a theater. She is not an orphan, but has never had parents. She knows every line, but has never had a line of her own. Théâtre Illuminata is where every character of every play can be found. They are bound to the Théâtre by the Book. Bertie is not one of them, but considers them to be family and find her place in the Théâtre soon. Bertie was a fun character, she didn't always think everything out. I really liked the fairies from Midsummer's Night Dream. Nate was sweet. Though Ariel was moody, he was still dreamy. The plot was good and really fun. Mantchev was great as at describing food, I wanted cupcakes so much after this. Eyes Like Stars was one of the most original books that I have read. The writing was good. I am not a fan of third person, but it worked in this book with her writing. I think that you should really check out Eyes Like Stars, when it comes out. You never know what will happen of who will show up. My blogoversary is in less then 90 days. So, I was wondering what my readers would like to see happen. I'll try to do anything that is reasonable. In over news, my computer was taken in to get fixed, today. So I am hoping to have it back for my birthday. Then I can save all my money for BEA. I am excited and it is like a year away. Alison Avery is the "interesting looking" girl of the Avery sisters. While her sisters, Phoebe and Quinn are gorgeous. She is sick of her bossy "best friend" Jade, having an impossible crush on Tyler Moss, and her mom's job is on the line. Alison wants change in her life. So, she starts by becoming friends with Roxie, the eccentric new girl. Alison decides to take some risk for changes in her life. I found Lucky to be Brilliant and Gorgeous was a great sequel. Where as Lucky was focused on money. Gorgeous was centered on beauty and self esteem. Alison was easy to relate to since most girls have had those problems before. It had a great plot and lots of humor. It was an original book and lovely. Vail is great writer. I recommend the Avery Trilogy. Aoife knows the letter is from Conrad, but is he a rambling madman or warning her to get out while she still can? In order to save herself, Aoife must find her brother. And in order to that, she must leave Lovecraft and venture into a world of Heretics and air pirates, hidden rooms and dark family secrets…before the clock winds down, and she too succumbs to the necrovirus. I love alternative history books. It sounds really good. I loved how Caitlin explains it and she is also very awesome. Plus, I love Tenners... Question for everyone: Who thinks that the Tenners are secretly made of money? Emily has a case of Amnesia. She doesn't know who she is and why she is in the strange town of Blackrock. She renames herself Earwig and keeps on getting tickets for odd things. She finds four homeless and wandering cats, that start following her. Emily starts under covering secret after secret about herself and Blackrock. She finds a mission that she must do and why she really has amnesia. This book was really different and odd. I really liked the artwork in the book and Emily's snarky and funny attitude. The plot was mysterious. I don't know much about Emily the Strange. So, I didn't understand a lot of her quirks. Overall, it was a fun and quick book to read. So, I went to Supernatural Summer Signing and I decided to get a signed book for a contest. I really like this book and it is amazing. 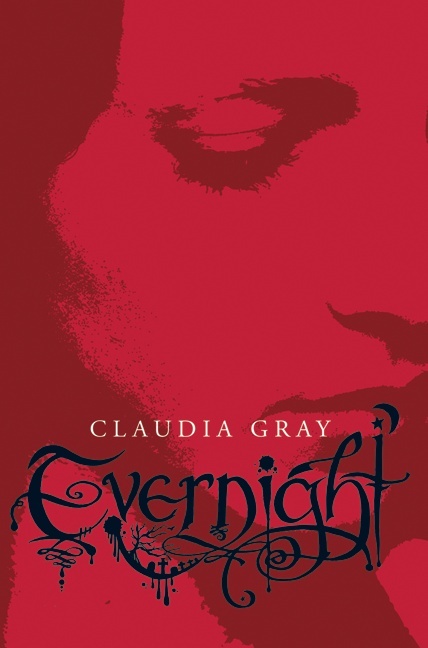 Summary: When the story begins in Evernight, Bianca has just left the small town where she's spent her whole life. She's a new student at Evernight Academy, a creepily Gothic boarding school where her classmates are somehow too perfect: smart, sleek and almost predatory. Bianca knows she doesn't fit in. Then she meets Lucas, another loner, who seems fiercely determined not to be the "Evernight type." There's a connection between Bianca and Lucas that can't be denied. She would risk anything to be with him—but dark secrets are fated to tear them apart... and to make Bianca question everything she's ever believed to be true. Anyways, How to enter: Leave a comment or E-mail me at Sarahbear119 (at) hotmail.com with the subject "Contest" What would you do if you found out that you were in a school full of Vampires?I am sorry this a US and Canada Contest. 3. If you were referred by someone. I'll give each of you an extra entry and if I referred you, just say so and you shall get one.. So, Best of luck and the Contest ends on June 29th at Midnight(PST). A winner has been picked and this Contest is closed. Hope that you had a great weekend. I went to Supernatural Summer event with Kelley Armstrong, Claudia Gray, Aprilynne Pike, and Kim Harrison, It was super fun. Anyways, beforehand I was on Twitter and I @replied to Aprilynne Pike, because she said that there were two hundred people at the event at Powells. So, I get a @reply from Kimberly Derting (Author of The Body Finder, it is amazing and I loved it.) saying that she was going, too. So, that was really excited. Anyways, my dad and I left at 11:40 and got to Borders at 1:20, I went and found the authors books. So, I am waiting in line and Kimberly comes over to me and says that her huband and her saved a seat for me, since I asked someone and they were saving it. I bought Once Dead and Twice Shy and 2 copies of Evernight (one is for giveaway that start tomorrow and will have some swag and the other for Hope) . So there is a big Q&A section and I asked "What do you think of Teen Bloggers?". Kelley, Claudia, Aprilynne said that they are all very honest and sweet. Kim hasn't had much experience with them, yet. It was really awesome and sweet. I also met Caitlin Kittredge, who is another Tenner and book The Witch's Alphabet sounds fantastic. She also has very awesome hair, too. I also ran into Realm Lovejoy, who I met at the Mitali Perkin's launch. She has the most awesome name and business cards. I am going to try go a few more events soon, since they are so much fun. Here is Kimberly and I. You can see a bit of Kelley Armstrong and Caitlin with the braids and black purse. This picture was taken by Kimberly's Husband Josh. Thanks Josh! I am going to a signing, and have to leave soon. So I am doing a meme survey thing. Hardback, trade paperback or mass market paperback? Paperbacks and Hardbacks are both fine. I am going with paperback, because of the price. Barnes & Noble or Borders?I like indies more. I know that isn't a choice, but they have better stock and are nicer. Bookmark or dog-ear? Bookmark, I hate making a mark in the book, and I’ll use whatever I can find. Amazon or brick-and-mortar? I honestly don't mind. Real Bookstores are nice, because you can get suggestions. Alphabetize by author, or alphabetize by title, or random? Random, I guess. Keep, throw away, or sell? Usually keep. Otherwise, give to friends or trade. Who would throw away a book? I mean, come on, people. Keep dust jacket or toss it? Keep it. Unless it’s really ugly. Read with dust jacket or remove it? I always remove it. It gets in the way and falls over and just generally annoys me. Of course, by the time I finish the book and go to put the jacket back on, it has twisted itself into a nearly unrecognizable form, which is even more annoying. Short story or novel? It depends. That’s really the only way for me to answer this. I love well-crafted short fiction, and I love novels. I tend to read more novels because there are more of them available and are longer. Harry Potter or Lemony Snicket? I’ll have to go with Harry Potter..
Stop reading when tired or at chapter breaks? At chapter breaks whenever it’s possible. If the chapters are really long, I try to stop at a break in the action or in between narratives or something, depending on how the book is organized. “It was a dark and stormy night” or “Once upon a time”? Probably “It was a dark and stormy night.” I tend to prefer heavier reads, and nothing disappoints me more than when an author ends a complicated book by tying everything up in a neat little package. Buy or borrow? Buy. Buy. Buy. I tend to do more lending. New or used? Generally new, but I’ll take a used copy in good condition if that’s I can find. Buying choice: book reviews, recommendations, or browse? Recommendations. Tidy ending or cliffhanger? I like books that leave it off to the reader to decide what happened. Favorite books read last year? Paper Towns, Cracked Up to be, Suite Scarlett, Wake, and a lot more. I did read 365 in one year. What are you reading next? I reach in to the box and pick one. Do you ever read primary source documents like letters or diaries? Not really. 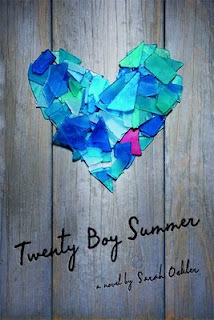 Twenty Boy Summer Contest and Twitter Party. I was offered by Little Brown, three copies of Twenty Boy Summer by Sarah Oakler for giveaway. I love this book. "Don't worry, Anna. I'll tell her, okay? Just let me think about the best way to do it." "Promise me? Promise you won't say anything?" According to her best friend Frankie, twenty days in Zanzibar Bay is the perfect opportunity to have a summer fling, and if they meet one boy ever day, there's a pretty good chance Anna will find her first summer romance. Anna lightheartedly agrees to the game, but there's something she hasn't told Frankie---she's already had that kind of romance, and it was with Frankie's older brother, Matt, just before his tragic death one year ago. Beautifully written and emotionally honest, this is a debut novel that explores what it truly means to love someone and what it means to grieve, and ultimately, how to make the most of every single moment this world has to offer. Anyways, How to enter: Leave a comment or E-mail me at Sarahbear119 (at) hotmail.com with the subject "Contest" What is your favorite place to go during summer? I am sorry this a US and Canada Contest. So, Best of luck and the Contest ends on June 25th(my Birthday) at Midnight(PST). In related news, Sarah Oakler is having a tweeting party today. It is 7pm to 11 pm EST. You should come. for sure. Seth never though that he would find someone to settle down with. Then he met Aislinn. She is his true love and wants to be with her for forever. Forever definitely takes on a new meaning when your girlfriend is an immortal faery queen. Aislinn never though that she would be ruling faeries, the creatures she once Then she met Keenan , and he made her the Summer Queen. Now, Seth and Aislinn are struggling to stay true to each other as it grows nearer to summer. Pacts are made, Secrets are forged, and old friends become enemies. I felt sorry for Seth. He didn't believe believe that Aislinn really cared about him and that she would leave him for Keenan. Aislinn was stronger in this book, but she didn't believe in herself as much. Keenan was annoying, because he lied a lot and twisted other's words. Donia and Niall had a bigger role and became more likable. The beginning was a bit slow, but as you got into it, it became more unpredictable. The book wasn't like most Faery books and that was goo. Marr is a great writer and her books just keep on getting better. I recommend this to anyone that likes faeries or has read the previous books. Micah freely admits that she’s a compulsive liar. And that may be the one honest thing he’ll ever tell you. Over the years she’s duped her classmates, her teachers, and even her parents. But when her boyfriend, Zach, dies under brutal circumstances, the shock might be enough to set her straight. Or maybe not. Especially when lying comes as naturally to her as breathing. Was Micah dating Zach? Or was Sarah his real girlfriend? 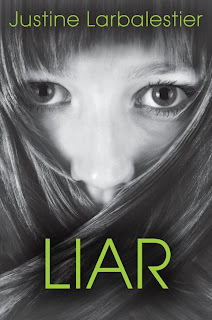 And are the stories Micah tells about inheriting a “family gene” real or are they something that only exists in her mind?Breathtaking in its plotting, and narrated by one of the most psychologically complex youngwomen to emerge since Sybil, Liar is a roller-coaster that will have listeners grasping for the truth. Honestly. This book sounds really good. It has a gorgeous cover and the summary is amazing. I haven't read anything by Justine, but she is suppose to be amazing. Reviews posted from these books: 10 of these books, 9 of these books are written but are not posted yet. Update:100+ Reading Challenge: 119 read. 19 over. I think that the worst thing that you could do to a sister is lie about something important, hide the truth from them, or betray the, Anyways I know those that entered want to know the Winner and it is....... Shalonda! Email me or DM me on twitter, your address and I shall try to send it soon. Take care all. Have a nice day, Sarah!